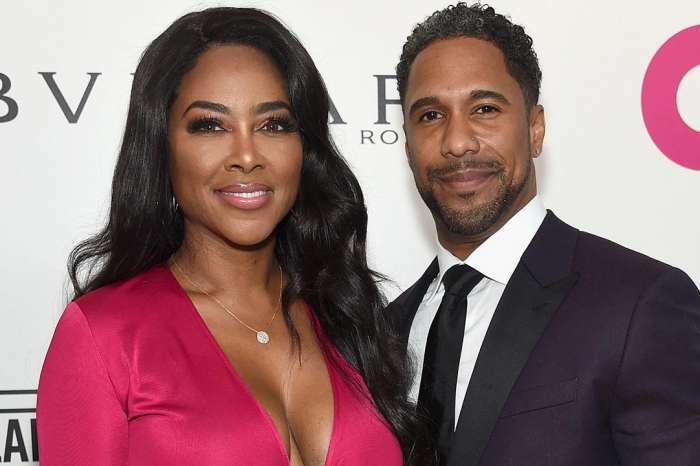 Oh-oh, Kenya Moore might have angered the bosses at Bravo because she has decided to film scenes for The Real Housewives of Atlanta without their permission. A glowing Kenya who is almost 9 months pregnant and her friend, Kandi Burruss were present as Cynthia Bailey made another money move. Kenya was glowing in a red dress and shiny hair at the Seagrams Escapes party that took place on Thursday night. Videos that surfaced showed Kenya giving a speech and wearing a mic for the event. Nene Leakes, Kandi Burruss, Porsha Williams, Shamea Morton, Eva Marcille, Shamari De Voe, Tanya Sam, and Yovanna Logan were also spotted filming scenes for Season 11. Kenya will welcome her first child late next month.